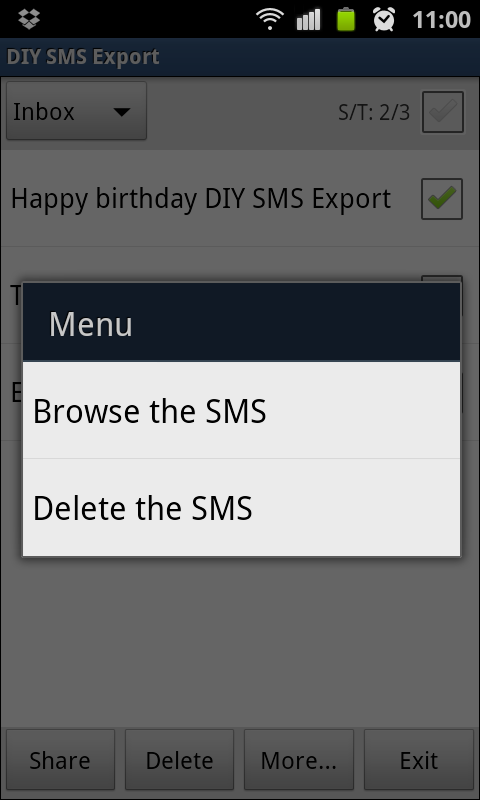 DIY SMS Export can share the short messages to supported apps. You can backup sms as plain text and browse, delete sms easily. 1. 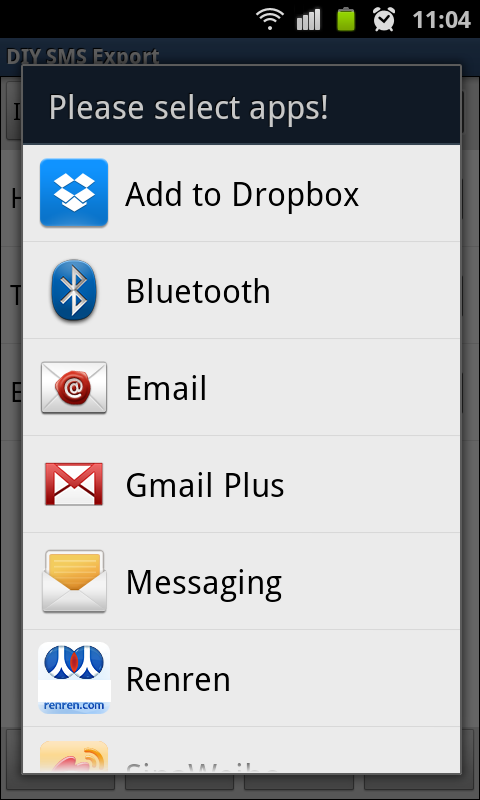 Share sms with friends on facebook, twitter, google+, send them via email, bluetooth and more. 1. 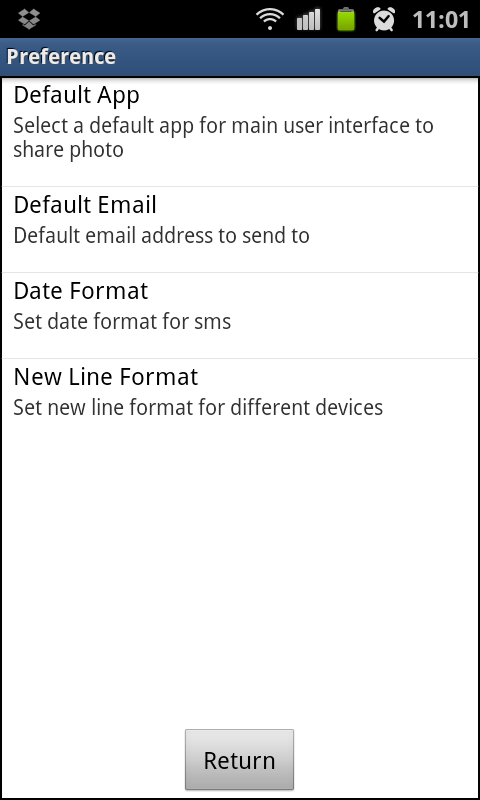 Long-click a item of a sms will open context menu , you can choose browse or delete the sms from the context menu. 2. There are two share button, the one is on main UI, the another will be displayed when you click More button. If you click the share button on main UI, the default share app will be launched, you can set default share app using Settings function; and if you click share button on More menu, the system will always list all share apps let you select.